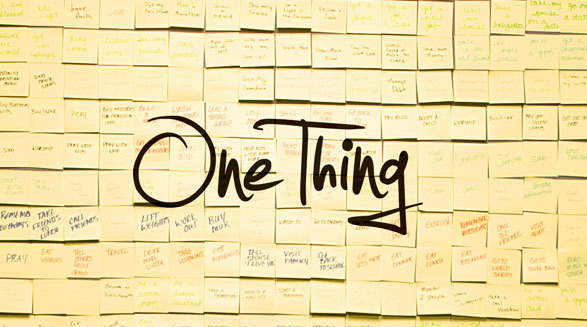 I recently read the book The One Thing by Gary Keller and Jay Papasan. Have you read it? If you haven’t read it I HIGHLY recommend it. I am writing to you on the first day of the New Year: January 1, 2017. Reading this book at the end of 2016, getting ready for 2017 was perfect timing for me as I have some big health and business goals I want to accomplish in 2017. I wanted to share these thoughts from the book with you that I know will make you think and hopefully take action with your life this year. Which quote resonates with you most? Take it and write it down where you can see it every day. Like your refrigerator. This question can apply to your spirit, health, personal life, social life, job, business, and finances. Take some time and answer with detail. Begin with your lifetime goal, then 5 year goal, and right now. What did you write? I want to hear from you. Email me at Evan@forge-rx.com and let’s chat.